Sauces of meat and game There are 32 products. The taste of the wild deer enclosed in 200 gr. goodness. To taste! 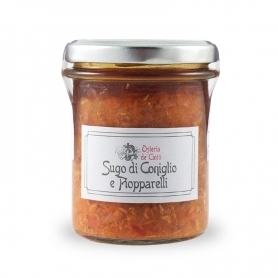 One of the classic sauces Tuscan dishes for the table. 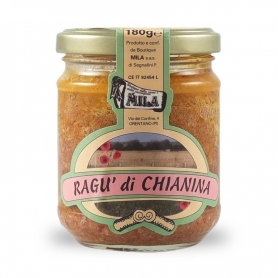 Excellent with fresh egg pasta. 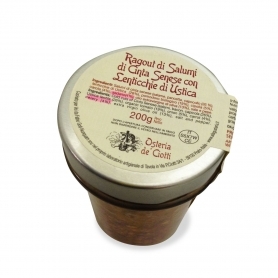 A delicate sauce delicate, tasty and fragrant for all types of pasta, including also the dumplings. 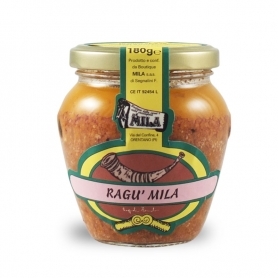 A ragout unique, intense flavor served with fresh egg pasta. A sauce a guarantee. 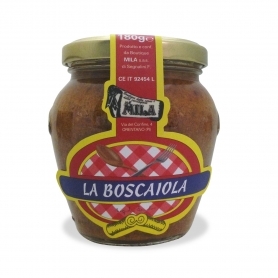 A goodness that goes well with all types of dry and fresh pasta. 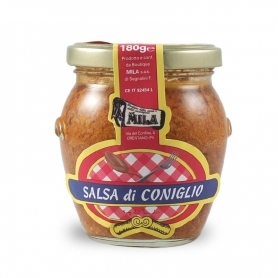 Excellent with noodles, spaghetti, macaroni, penne but also on toasted polenta. 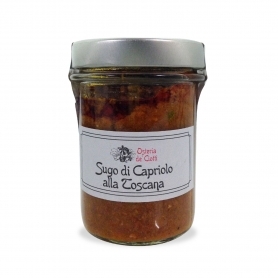 The sauce is a specialty of the Tuscan cuisine based on natural ingredients. 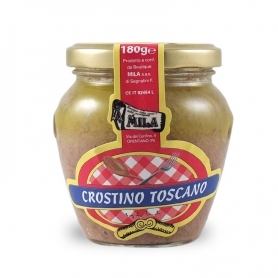 A tasty pate for starters to put on toast or toast, which differs from the classic Tuscan crostini for meat used. 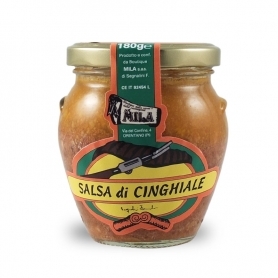 A classic Tuscan sauce for lovers of the game, a strong flavor and tasty sauce. 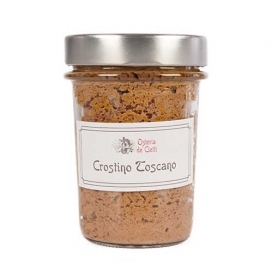 Spices and ingredients typical of Tuscan cuisine to enjoy a great classic. 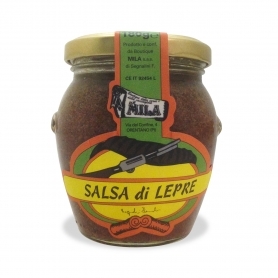 It can be used as croutons sauce for pasta. The taste of wild hare combined with the deer to rebalance. 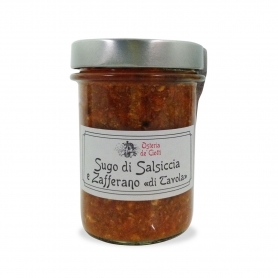 Unmissable on a slice of grilled Tuscan bread and warm a little oil EVO. 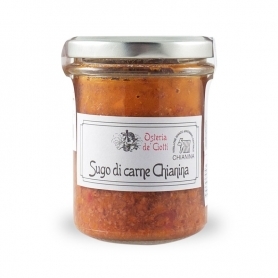 The sauce made with the queen of the Tuscan meat: the Chianina. Tender, tasty, delicate flavor but incisive. A typical Tuscan meals can be enjoyed with pasta, preferably pappardelle. 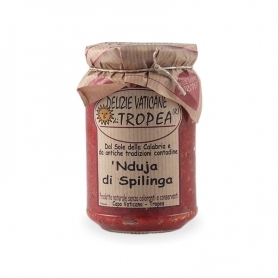 There'Nduja Spilingaborn from the sun of Calabria and the best farming traditions, one of the products that best represent this land. 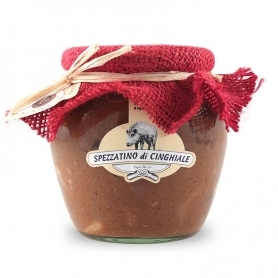 A high quality product, made with excellent wild boar meat to delight the palates of game enthusiasts. 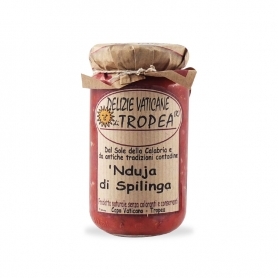 There 'Nduja of Spilinga Born from the sun of Calabria and the best peasant traditions, one of the products that best represent this land.